Divine Liturgy will take place from May 7 to 10, 2015, in Washington, D.C.
Diocese and the Prelacy to oversee and guide the commemorative activities. Legate of the Eastern Diocese of the Armenian Church of America. America and in the world," he added. half Armenians by the Ottoman Empire. the death march toward deserts in Syria. on in front of eyes in the present day. how the actions of 100 years ago are being felt in 2014.
in addition to the Diaspora's far-flung status. The Turkish government campaign has begun with soft lobs. Turkish-Armenian film actor Nubar Terziyan. sauce, condiment and dessert is of echt Turkish origin. pensioned off after years of serving as target for stone-throwing boys. what's to stop their reinstallation on January 1, 2016? that the island's name derives from "Akdamar" and a Turkish folk tale. "Tale" is right, as in fairy tale. By no means is the above list comprehensive. their volume, in such a short span of time, would indicate otherwise. not manifested a reasonable demeanor," Erdogan bleated. "out" to governments which don't recognize the Genocide. them with foreign ministry officials. policy of mythinformation and denialism? Anger, contempt, and jeering are lazy and don't advance our cause. of the countries where Armenians are citizens. Intensify and expand efforts to spread the word. Genocide, will be distributed to the Canadian Red Cross. of the media and the public to the ONE-HUNDRED YEARS OF LIES. propaganda guns to promote its Genocide-denying enterprise, is key. an effective manner to combat Ankara's expensively-bought untruths. Southland to remember the 1.5 million Armenians who lost their lives. -- in collaboration with the Armenian Genocide Centennial Committee. proposed genocide museum and memorial. parking lot next to the Glendale Civic Auditorium. Recently, the committee began looking for an architect to design the museum. terrible event. AsiaNews publishes below the patriarch's full message. father of the modern Turkish Republic. under Russian imperial, then Soviet rule), Syria and Lebanon. April a Day of Remembrance for all the "holy martyrs of genocide". The full text of patriarch's encyclical letter follows below. and brighter unto the perfect day." light that shines brighter and brighter unto the perfect day." history and culture, had been wrested from its native population. of the ruins and vestiges, and built a "homeland of light and hope,"
the ingenuity of our spirit. Your might propelled us to our victories. indifference of Pilate and the criminal denial of Turkey. and guarantor of a peaceful world free of enmity and violence. congenial life of the world. the Holy Martyrs of the Genocide. realization of justice and our sacred aspirations. and with us all. Amen. chairman on "The Union of Armenians Academicians of Germany - 1860"
different events will be organized," he told reporters on Tuesday. Armenian Genocide and the Armenian people through science and books. It is 2015. Soon, we will start commemorating the centennial of the Armenian Genocide and pay tribute to the memory of some 1.5 million victims of the Young Turk regime of the Ottoman Empire. We will also pay tribute to the memory of those few Turks, Kurds, Arabs and others who risked their own lives to help Armenians escape certain death. There are several reasons why we should remember especially those courageous Turks who, first and foremost, objected to the mass deportation and murder of their Armenian neighbors by their own government and countrymen. Second, they did not become by-standers, and swayed by religious piety and their respect for human life and dignity saved some of the Armenians, with compassion and care. Third, it gives a more positive basis for Turks and Armenians to look together at 1915 as part of their shared history. No one knows how many individual acts of courage and humanity occurred during that period of horror and death. One such person, Haji Khalil, a devoted Muslim and a righteous Turk, was my grandfather's business partner. He had promised my grandfather he would care for his family in case of misfortune. When the disaster greater than anything either of them could have imagined struck, my grandfather, Krikor, was hung just for being an Armenian. But Haji Khalil kept his promise. He hid my grandmother, her sister and their seven children in the attic of his house in Urfa for almost a year. He fed and cared for them and saw them to safety to Aleppo. He did this knowing well that whoever saved Armenians could have shared their fate of death and destruction. I want to extend my hand to the people of Turkey, to ask them to remember that though at one time their state was led by mass murderers, they also had their Haji Khalils, and that it would honor the memory of the latter to acknowledge the overwhelming truth of the Genocide, to express regrets, so that the healing process may begin between our two peoples. As a result of my speech, one of the scholars participating in the conference, Taner Akçam, approached me with tears in his eyes, hugged me and started telling me things in Turkish that I could not understand. But, I could feel his warmth and his sincerity in trying to tell me that he acknowledged and shared the trauma and the pain that I was experiencing at that moment. The next day we attended a memorial service in Etchmiadzin, the Holy See of Armenian Church. There, I took him by the hand and asked him to join me in lighting two candles, one in memory of my grandfather lit by him, and another, which I lit in memory of Haji Khalil. Then we embraced and promised each other that we would do everything possible to bring our peoples together by preserving the legacy and the memory of that righteous human being, Haji Khalil, and through him, undermine denial and promote truth and justice. Since that encounter in 1995, Dr. Akçam has written many well respected and influential books and articles, published in several languages, about the Armenian Genocide and the violence perpetrated by the Ottoman Turks. His works demonstrate how the Ottoman Government, led by the Union and Progress Party, inspired by the ideology of pan-Turanism and dreams of imperial expansion, carried out the planned destruction of their own fellow citizens, the entire Armenian population in its ancestral homeland for three millennia. During the next ten years, from 1995 to 2005, numerous tentative contacts were made between Turks and Armenians. Some on an individual basis, some in academic forums, where research and scholarship was shared and exchanged between Turkish and Armenian scholars. Some, such as the Workshop on Armenian-Turkish Studies or WATS, used virtual communication to facilitate dialogue between Armenians and Turks. Some Turkish scholars visited various research centres, such as the Zoryan Institute and the Armenian Studies Chairs, to learn about the research conducted and/or to view oral history testimonies of the survivors of the Genocide. Some 15 Turkish students have attended the Comparative Genocide Course run by the Zoryan Institute with the University of Toronto some continued their studies to become recognized specialists of the Armenian Genocide. Some businessmen organized official forums, such as the Turkish Armenian Business Development Council, to promote trade between the two countries, hoping that trade would be the best way to bring these two peoples together. Attempts were made even by the Armenian government a few years ago, through the so called “football diplomacy” for rapprochement with the Turkish government. This was followed by the signing of the as yet unratified "Protocols." All of these efforts were attempts to bring about a change in the attitudes of these two peoples, who continued to see each other through the prism of the events 1915 as unchanging and monolithic enemies. Unfortunately, more work is needed by both Turkish and Armenian civil societies to raise awareness about the events of 1915, to encourage the Turkish state to change its narrative. There were strong voices that wanted to reclaim history as a legacy that needed to be recognized, and thus pressed their government to abolish all obstacles to this process. For example, the series of events since 1995, described above, led to the first public conference on Armenian issues which was organized by Turkish academics and intellectuals and took place in Istanbul on May 25, 2005, entitled "Ottoman Armenians during the Decline of the Empire: Issues of Scientific Reasonability and Democracy." Some of the participants at this conference were scholars and intellectuals who were in continuous contact with their Armenian counterparts. The conference was condemned and criticized by the Turkish authorities. Just one day before the conference, then Turkish Justice Minister Cemil Cicek accused those who organized and participated in the conference of treason, calling them traitors to their country, condemning the initiative as a blow to the government's attempts to counter a mounting Armenian campaign to have the killings recognized internationally as genocide. He went as far as stating, "This is a stab in the back to Turkish nation..." As a result, some of these Turkish scholars, intellectuals and media representatives were charged, persecuted and even jailed by Turkish authorities. Since 2005, the Turkish government has continued its unrelenting denial policy in spite of civil society wanting to know more about their own history. The denial policies of the deep state, continued by the current Turkish government, have led to hatred, discrimination and incitement of violence towards the remaining Armenians in Turkey. This policy culminated in the killing of Hrant Dink, the editor of AGOS newspaper, who had openly challenged the narrative of the government as an obstacle to democracy in Turkey. Hrant Dink's murder by a Turkish ultranationalist impacted not only the Armenian community in Turkey, but also the Kurdish, Yezidi, Alevi and other minorities, who saw the assassination as a major blow to freedom of thought and speech and to their aspiration for cultural and religious freedom. Those who fear that Turkey will succeed "to neutralize the effect of the Armenian side's preparations for the centennial of the Armenian Genocide," do not sufficiently believe in the power of historical truth. No matter what Turkey does through its policy of denial, it cannot avoid the facts of history. Fear of Turkish "penetration" of Armenian society, in the Diaspora and/or in Armenia, concern about causing "domestic disagreements" to "take control of society" reduces Armenians and Armenia to hapless victims rather than aware, independent adults who are able to articulate and defend their national interest. All denial attempts, whether that be by distorting history or cajoling certain members of Armenian society to cooperate with them, have not helped Turkey in controlling Armenian society. On the contrary, they have only strengthened the resolve of Armenians worldwide to mobilize for acknowledgement and restorative justice because Armenians collectively are fully aware of their history and the profoundly devastating effects of genocide on their nation. "To speak well of the Turks that saved Armenians" actually helps contextualize and bring home for Turks what the Armenian Genocide was all about. One cannot talk about Turks who saved Armenians without explaining what it is they saved the Armenians from. This can only help promote shared knowledge of history and a past that both societies can talk about to each other, on a common basis of understanding and without any fear of persecution. Hopefully this can lead to dialogue and eventually reconciliation. We must have hope that the human values, fortified with the knowledge of historical truth, will eventually empower Turkish civil society to demand its government more effectively to embrace the facts of history. Without that, there will be no true democracy and therefore no security for any individual or collective in that country. Such empowerment is already evident by the fact that currently, two Turkish human rights organizations are partnering with the International Institute for Genocide and Human Rights Studies, (A Division of the Zoryan Institute) to jointly submit a brief to the European Court of Human Rights in the Perinçek case – a matter of genocide denial – documenting his discriminatory and racist activities and statements against Armenians in Turkey and Switzerland. Such instances of co-operation strengthen contacts between the two societies and serve as evidence of the power of shared universal human values. We cannot be oblivious to the changes happening in Turkey. Armenians have a role in helping Turkish society learn and understand the indisputable facts of the Armenian Genocide through education, dialogue and contacts on all levels of Turkish society. This is a critical process in order to emancipate both societies from this problem of enmity, prejudice and hatred. the generations of 1915 and 2015, Massis Post reports. "Pleading no Context: On Uses and Abuses of the Word Yeghern"; Prof. Burden of Language as a Moral Obligation." The second morning panel will deal with "Teaching Genocide," with Dr. Using Testimonies in Teaching about Genocide." The third and fourth panels will be held in the afternoon session. Dr. Girl with the Cross Tattoo': Field Notes on Crypto-Armenians"; Dr. Liabilities," will be conducted by the Armenian Bar Association (ABA). by Dr. Richard G. Hovannisian. 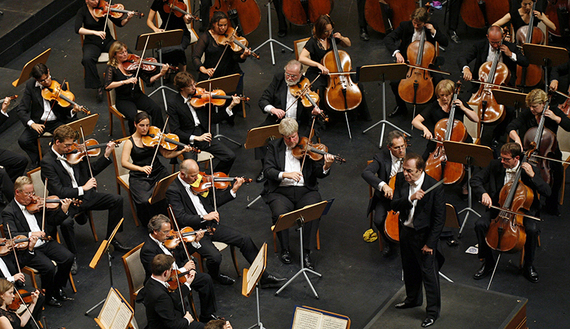 Vartan Melkonian is one of the conductors of Britain’s Royal Philharmonic Orchestra. A century ago, his ancestors lived in Mus, eastern Turkey, until the day Ottoman rulers made a decision to “deport” Armenians. Melkonian and his daughter Veronica will be in Turkey in February for their “Walking for Armenia” project — a 1,000-kilometer (621-mile) march they plan to start in Van, eastern Turkey, and complete at the Birds’ Nest Orphanage in the Lebanese capital, Beirut. The Syrian stretch of the route poses a serious risk for the Melkonians, but they are determined to walk it despite the threat of war and the Islamic State (IS), Al-Monitor reports. In an interview with Radikal Vartan Melkonian speaks about the march he and his daughter will make from Turkey to Lebanon to commemorate ancestors who perished in the Armenian genocide. Radikal: How did you come up with the “Walking for Armenia” project? Was it your or your daughter’s idea? Melkonian: It was my daughter’s idea. She suggested we walk the same distance in the footsteps of our ancestors to commemorate the 100th anniversary of the Armenian genocide. Just as our ancestors did. Radikal: Don’t you have security concerns? Don’t you feel any anxiety over the assassination of Agos editor-in-chief Hrant Dink in Istanbul in 2007 and the 2008 murder of [Italian activist] Pippa Bacca who had come to Turkey with her “Peace Bride” project? Melkonian: I’m aware of the murders of both Hrant Dink and Pippa Bacca. Those are very sad incidents. But when my daughter first proposed this idea a year ago, she had no security concern. Being a university student, she is aware she is leaving a safe life behind in Britain for this project. Radikal: But the danger today is not limited to Turkey. The war in Syria is going on and there is the threat of IS. Melkonian: The circumstances were different when she first came up with the project. Naturally, the reports of people being kidnapped, beheaded and raped are not part of her daily life. Today the region has become polarized. Radikal: Are you going to stick to this route in February? Radikal: According to your road map, you will enter Syria from Kobani. Are you going to change your plan in line with the latest situation? Melkonian: When we started the project IS was not there. We are not planning to change our route at this stage. Radikal: What reactions do you think a project evoking the genocide on its 100th anniversary will generate in Turkey? Melkonian: I think that all peoples, everybody, should be prepared for such projects. This project will be a modest and graceful way to remember our loved ones. My daughter and I will be only remembering our ancestors. Radikal: What are the initial reactions? Have people contacted you through your website? Melkonian: All in all this is an individual effort. Our sole purpose is to commemorate family members who died 100 years ago without leaving a trace. We have been flooded with messages of support from all over the world. And we are grateful to all of them. Radikal: The Catholicos of Cilicia, Aram I, also lent support to your project. Melkonian: Yes, he did. But he is worried about the security conditions of our march. Still, he conveyed a message to the world in the letter he wrote us. We have posted it on our website, www.walkingforarmenia.com. He says in his message that our project is an important initiative that will remind the world that the genocide perpetrated against the Armenians by the Ottoman-Turkish government must never ever happen again. Radikal: Are you going to make any statements or convey any messages during the march? Melkonian: I won’t have any political, religious or philosophical messages to convey. I will be only walking with questions still burning inside me. What happened to my ancestors 100 years ago? Why did my parents lose their family at a very early age and live in an orphanage away from their homeland, away from home? Radikal: Why did you choose Van as the starting point for the march? Why not Erzurum, Harput or Diyarbakir, which is closer to the border? Where were you ancestors from? Melkonian: We chose Van for practical reasons. My family members were not born in Van. They were born in Mus, the hometown of Vartan Mamigonian, an important historical figure for Armenians. Anyway, our purpose is to trace the route of 100 years ago. Radikal: What stories are left for you from 1915? Melkonian: I know nothing about my grandmothers and grandfathers, neither their names nor their ages in 1915, nothing. … I’ve listened to very few memories from my father about his parents. He remembered large gardens and houses. He was only 6 at the time, though he was the family’s eldest child. His only memory of his parents was the last time he saw them, surrounded by soldiers. Radikal: Your route ends at the Birds’ Nest orphanage in Beirut where you grew up. Melkonian: My parents got married in a refugee camp in Beirut. My mother died when I was 4. That’s why I was sent to the Birds’ Nest orphanage [run by] Danish missionaries. One of the people in the orphanage, Maria Jacobsen, had witnessed the aftermath of the massacres in 1915. That’s the reason why we’ll end the march at the orphanage, my home, the only home I’ve known. Radikal: What does Turkey and Eastern Anatolia mean to you today? Melkonian: For me, Eastern Anatolia is a mournful land. I am moved at any mention of it. After all, Mus, a part of Greater Armenia, was the homeland of my ancestors. Radikal: Lastly, what is your message to Turkey and its people? Melkonian: Just as the good things your family could have done in the past doesn’t make you a good person, the bad things they could have done doesn’t make you a bad one. But the denial of historic facts is something to have a negative impact on you and torment your soul. We believe that an extraordinary and newsworthy event has the power to shake the world into awareness. In 2015 it will be the 100th anniversary of the Armenian Genocide, and yet genocides are still affecting countless lives and communities. Some massacres have gained worldwide notoriety but many have been swept aside leaving survivors to suffer in silence. Delivering the message to STOP World Genocide by Recognizing Past Genocides. Beginning April 24, 2015, cyclists and runners will set out from Los Angeles to kick-off the marathon, each carrying the relay baton symbolizing the countless voices of the silenced, asking that all nations including the United States unite to STOP WORLD GENOCIDE BY RECOGNIZING PAST GENOCIDES, INCLUDING THE ARMENIAN GENOCIDE. Over the course of two weeks, 60+ athletes will make the approximately 2,800 mile journey across our nation in an effort to deliver LA2DC’s message to our nation’s capital. needed to face the challenge of the century. be condemned to live in an illusory world. indifference regarding this failure. Where is the outrage? victory to the Turks on a silver platter. its lackadaisical indifference for accountability. This much is the Diaspora's share of responsibility. literature, are at each others' throats at this moment. prominent local scholars against each other, as well. favor Turkey." He added: "We are not talking only about the Diaspora. latter has tried to destroy his dissertation. within the four walls of our academic institution." individuals from a position of strength. foreign grants, we may discover that they have been hatched in Turkey. grants, at least during this centennial year." but we are far from being in that kind of salutary disposition. Catastrophe of Anatolia, and the mother of all taboos in this land. President Recep Tayyip Erdogan said on Tuesday Ankara would "actively"
already under way to detail an action plan. If Turkey is honest, first they need to clean the lies about Armenians in the history books which poisons the young minds of their own children. This is nothing but a fake front that they are doing something positive and the bad Armenians are not responding in kind. Turkey’s Ministry of Culture and Tourism plans to carry out Cultural Diplomacy project on the occasion of the 100th anniversary of the Armenian Genocide, Ermenihaber.am reported, citing Aksam website. The project is expected to raise awareness of the 1915 events among Turkish and Armenian youth, help establish closer ties between the young people, raise the level of mutual understanding and respect, and reduce the tension. Implementation of cultural exchange projects and restoration of historical Armenian structures are also planned. The project will be administered by a special secretariat comprising diplomats, scientists, historians, cultural figures, and officials. International NGOs are expected to support the project. going to follow the centennial of the Armenian Genocide? Turkey is waiting for "a wave to come and go." serious work needs to be done, which is expected to produce results. one museum, with numerous expectations about it. diaspora. That's the simplest question which poses the biggest hazard. become a plan of actions for the Republic of Armenia and the diaspora. the recognition to a process of claiming rights? [we see] the [previous] stage wasn't good as we had committed errors. financial resources go. We haven't simply specified the trends. compatible with a strong state, it is already a problem for me. events to mark the 100th Anniversary of the tragic events of 1915. Hall on Jan. 18 at 3 pm. pm. Under the direction of Vatsche Barsoumian, "Our Light, Our Hope"
Society and mailed to 543 Arden Avenue, Glendale, California 91203.
our roots and preserve the Armenian identity in Los Angeles. seminar-discussion on the Armenian Genocide. Commissioner for Human Rights of the Council of Europe. the legal aspects of the issue, as well as current situation in Turkey. the academic and public circles in Turkey rises. the Crime of Genocide, December 9, 1948, could have retroactive effect. in a joint effort to honor the Centennial of the Armenian Genocide,"
communities in the Western United States." architectural bids have already been publicized. that has worked with several well-known museums in the country. various churches and religious denominations. commemorative events taking place in the following weeks. light vigil at the helm of the Martyrs monument. a joint event commemorating the 100th anniversary at the Alex Theater. Genocide for whom we are, and will remain, eternally grateful."